Video of flights over top monuments of Krakow in HD format. Wawel, St. Mary Church, St. Peter and St. Paul Church, Juliusz Slowacki Theatre, Divine Mercy Sanctuary, Tempel Synagogue, and University of Economics are the next landmarks in the review. Just like in the beginning of the review, we have prepared a collection of historic facts and some awesome photographs for each of these top architecture monuments of Krakow. Don’t forget to admire the look of these sights from a bird’s eye view. This view is available in the flyover video of the architectural skyline of Krakow. After such a guide, it won’t be a hassle to make up a great plan of a real-life excursion tour in Krakow. Ready, steady, go! » Wawel is the architectural complex on a hill in Krakow. The complex consists of numerous buildings and structures, but the biggest and most famous of them are the Royal Castle and the Cathedral of St. Stanislaw and Waclaw. » Wawel is a very important place for the Polish, which was originally the center of political power and the seat of Polish kings. 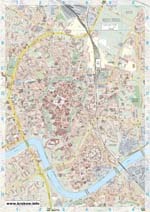 » During the 20th century Wawel has being the residence of Poland governors. » After the invasion of German troops at the beginning of World War II, Krakow became the seat of the State Administration of Germany. Later Wawel became the residence of the Nazi governor, General Hans Frank. After the cessation of hostilities Wawel was restored; it became the national museum, the temple and the center depicting the complex history of Poland. » The Cathedral of St. Stanislaw and Waclaw is a burial place of Polish monarchs and the greatest Polish poets, as well as prominent political figures. The Polish President Lech Kaczynski and his wife Maria, who tragically died April 10, 2010 in a plane crash, were buried there on April 18, 2010. » The castle has an exposition dedicated to the home of the Polish kings. Here you can see the quarters of monarchs, throne room, armory and even the treasury. 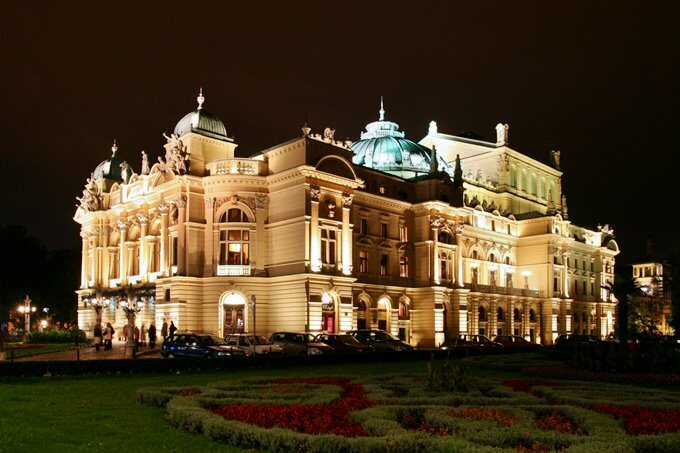 » Juliusz Slowacki Theatre was founded in 1893 and named in honor of Juliusz Slovack in 1909. The building is one of the finest theaters in Europe, built in Baroque style. » The theater is decorated with frescoes by the Viennese artist, Anton Tuhom, and features the unique curtain by Henrik Semiradsky. » In summer open-air stage operates at the garden. 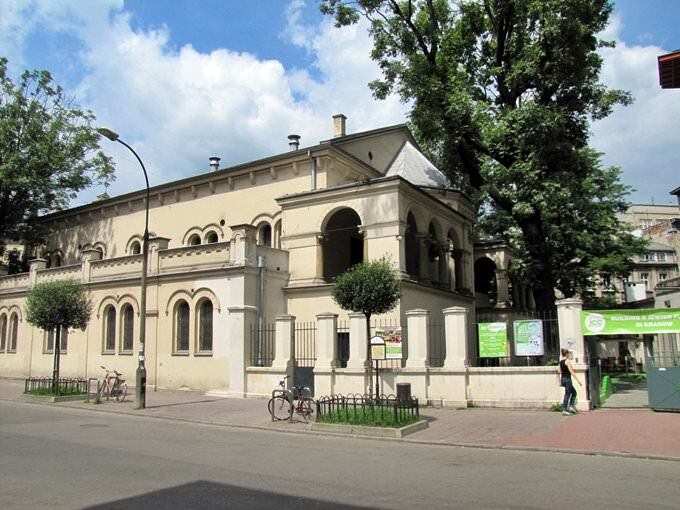 » The theatre became a place origin of the theatrical concept of Young Poland, the period of development in the arts associated with modernism in the Polish culture. » First romantic performances in the theater had great significance for Polish culture. Facts: » The University of Economics in Krakow was founded in 1925. » This university is the largest economic university in Poland. 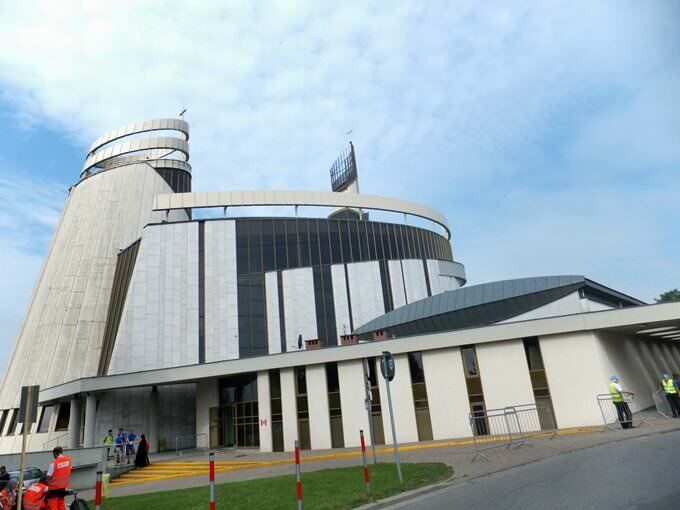 » The library of the university is the third largest academic library in Krakow. Its rich collection of books and e-library is used not only by students, but also by scientists from around the world. » University campus is located near the historic center of the medieval city of Krakow, and is easily accessible on foot or by public transport. 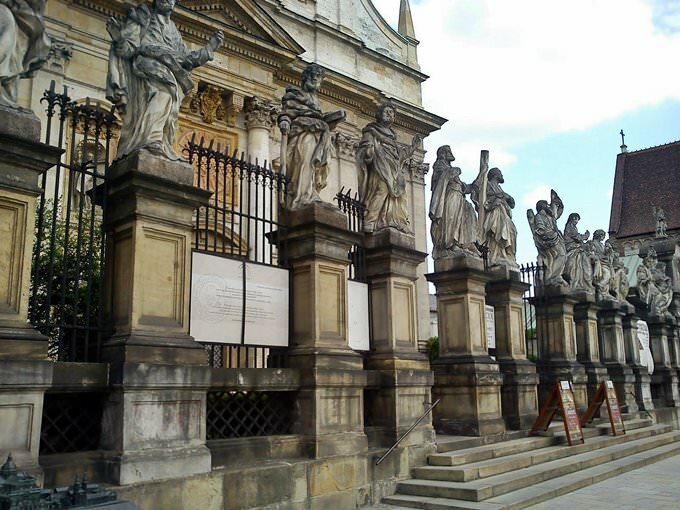 This guide to architecture monuments in Krakow is protected by the copyright law. You can re-publish this content with mandatory attribution: direct and active hyperlink to www.orangesmile.com.